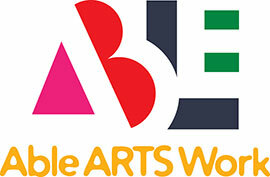 Able ARTS Work (formerly known as Arts & Services for Disabled, Inc.) would like to thank the members of our Patron Society who have continued to support Able ARTS Work's mission, vision and growth. The Patron Society honors members of the Able ARTS Work family who have a total lifetime of giving of $1200 or more towards our organization. The purpose of the Patron Society is to give Able ARTS Work the financial ability to step in with creative solutions to provide the love, learning opportunities and life options that our students need. Along with our hopes of growing the long-standing weekday programs we have been running for 33 years, we have also been working to expand our outreach programs such as Art on the Move, Mobile Arts Program, Accessible Arts Workshop, Creative Health and Wellness Clinic and exhibits and galleries to increase awareness and become a greater resource to our community. 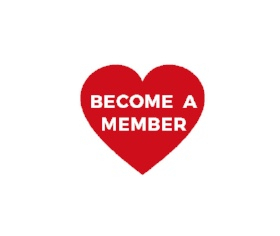 To find out more about becoming a member of the Patron Society, please contact Megan Christensen, at (562) 982-0249 or via email at mchristensen@ableartswork.org. The Patrons of Able ARTS Work (formerly known as Arts & Services for Disabled, Inc.) provide crucial financial support for operations and key special needs, which will enable the significant expansion of Able ARTS Work services and growth toward future goals. Steve Goldstein / Payroll Management Solutions, Inc.